Whether you’re out for a weekend camping trip or just in the mood for a summer barbecue, a quality grill will help you rustle up some mouth-watering grub. Modern BBQs come with a vast number of different features and choosing one can be difficult. 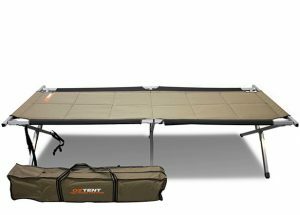 To make things easier for you, we’ve identified and reviewed the best camping BBQs on the market, so you can get right to grilling. In this review, the Weber Baby Q BBQ grill came out on top as our top pick. With a great combination of price, moderate size, relatively large cooking area, and weight, it’s a solid all-around grill. 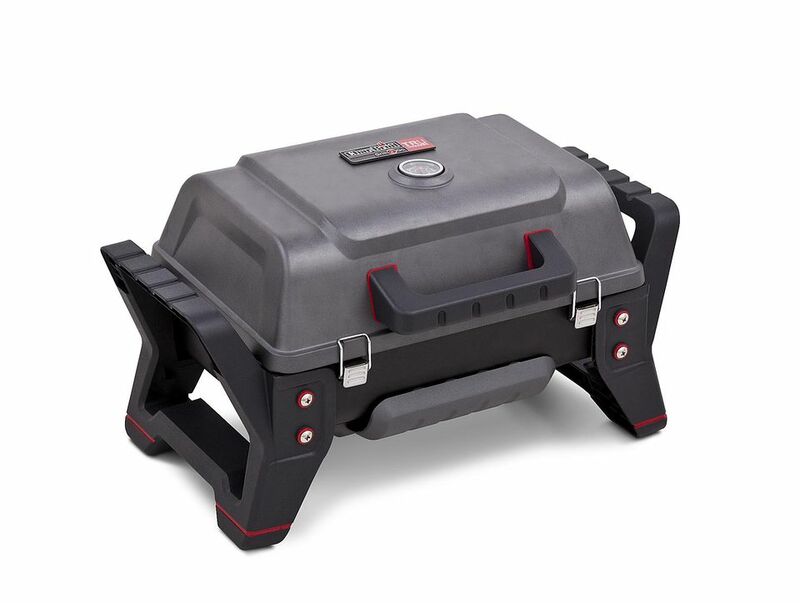 The Gasmate Voyager Portable is our value pick for its high energy output and large grill area despite its small size. Size: The total size of the BBQ is important for transportation and storage purposes. Perhaps even more important, though, is the size of the grilling surface, which will constrain how much you can cook at once. Cooking surface: All grill surface materials will do the trick, it’s just a matter of what sort of performance you need from your BBQ. Cast iron grills will heat up to high temperatures while stainless steel grills will retain the heat for extended periods of time. Price: Some grills will cost you a pretty penny to buy while others are more budget friendly. 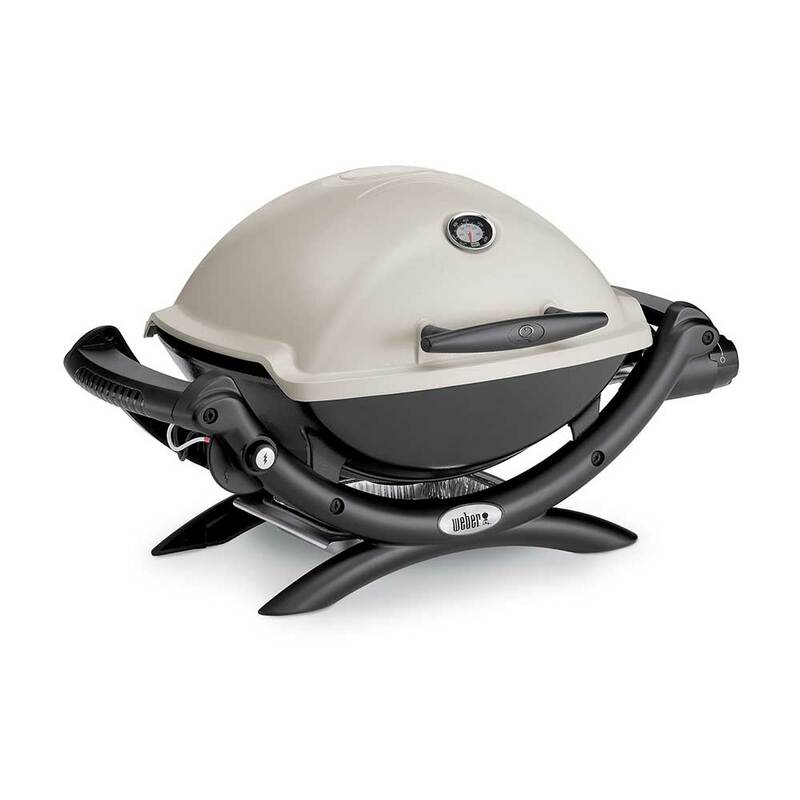 In this review, we have a selection of grills for a variety of budgets. Weight: A very heavy grill is difficult to transport and carry, so it’s an important consideration to keep in mind. Now that you know what to look for in you BBQ we can continue on. Next up: the reviews! The Weber Baby Q is a terrifically well-made BBQ designed to keep you grilling for years to come. A smaller version of the Weber Premium Q (also in this review), the Baby Q is perfect for campers who want a lot of grilling power in a small package. 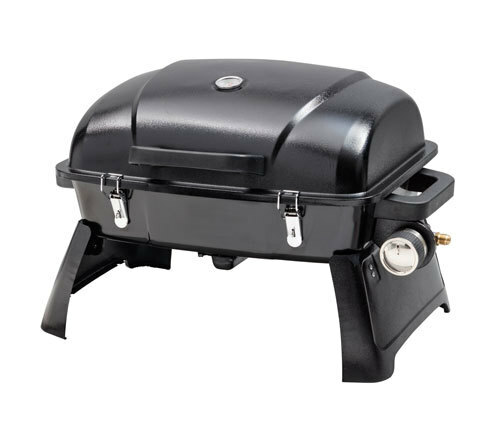 The Baby Q is outfitted with rust-resistant cast iron grills, a heavy duty push-button piezo ignitor, and a thermometer on the lid handle to help you get the perfect grill. If that wasn't enough, it comes with a removable drip tray and Weber's signature 5-year warranty. Our biggest concerns with the grill are that it doesn’t come with a protective carry case or separate work surfaces. With a relatively large cooking area and high power output for its size, the Baby Q is great for smaller families and couples who need a compact, but mighty, grill. The Premium Q is Weber’s signature camping BBQ and the Baby Q’s older sibling. 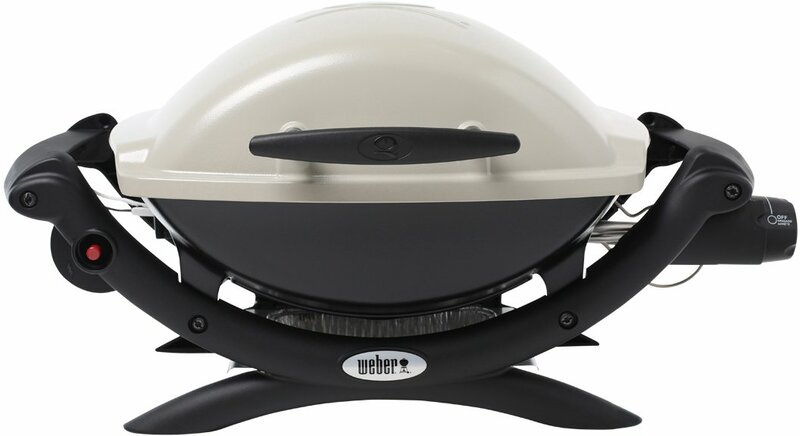 With a larger size and more heat output, the Weber is ideal for larger families or groups. Sporting Weber’s high-quality rust-resistant cast iron grills and an impressive 12,000 BTU/hr heat output, this grill is sure to handle whatever you throw at it. The BBQ itself can even be split with the addition of Weber’s hot plate (sold separately), which is a great addition for cooks looking to spice up the menu. Complete with two fold-out work surfaces, the Premium Q is ready to grill. The Premium Q narrowly missed out on the top spot because of its price and weight – at $429.00 and 16kg, it’s not cheap nor light, but you can be sure that it’ll be worth every penny and gram. The most compact BBQ in this review, the Gasmate Voyager Portable can pack a big punch. With a whopping 11,400 BTU/hr heat output and a split hotplate/grill cooking area, the Gasmate is ready to grill. The Gasmate Voyager comes complete with a satin enamel cast iron grill and a rotary piezo ignition, so you can get cooking quickly. The BBQ’s simple fold-out legs make set-up easy and the 12-month warranty will keep you cooking for years to come. At only $139.99, the Gasmate Voyageur is our value pick in this review and is one grill you won’t regret. Another great, compact camping BBQ, the Charbroil Grill2Go is a real workhorse. Complete with a cast aluminium lid and fire box and stainless steel grills, the Charbroil is a powerful little grill. The Charbroil pushes out a solid 9,500 BTUs and comes with a nifty lid-mounted temperature gauge to help you get that ideal cook. Our favourite part: the Charbroil’s protective carry case, which makes transport a breeze. With no separate workstation, the compact size can feel a bit small, but if you value quality over size, the Charbroil is a great option for your next BBQ.